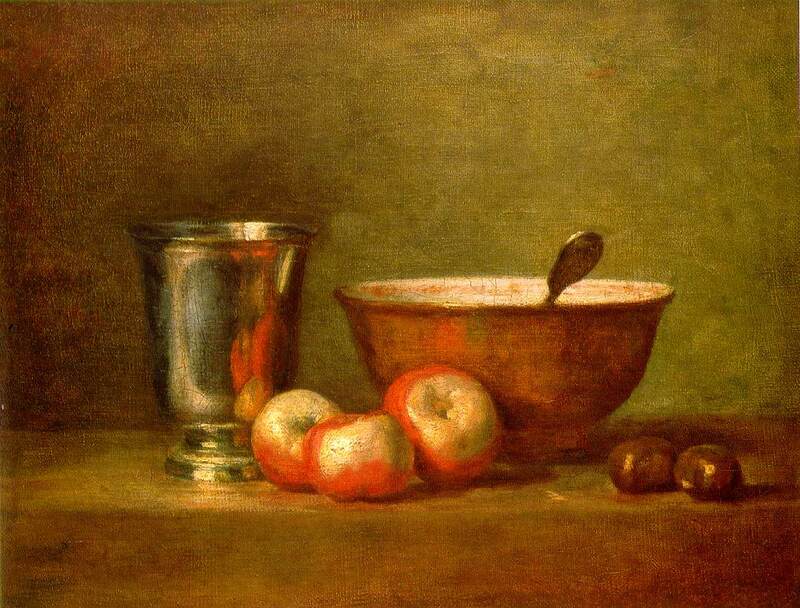 Chardin, Jean-Baptiste-Siméon (1699-1779). 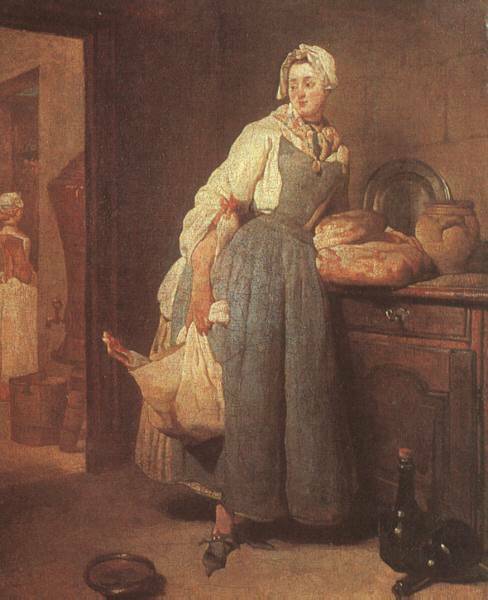 French painter, one of the greatest of the 18th century, whose genre and still life subjects documented the life of the Paris bourgeoisie. 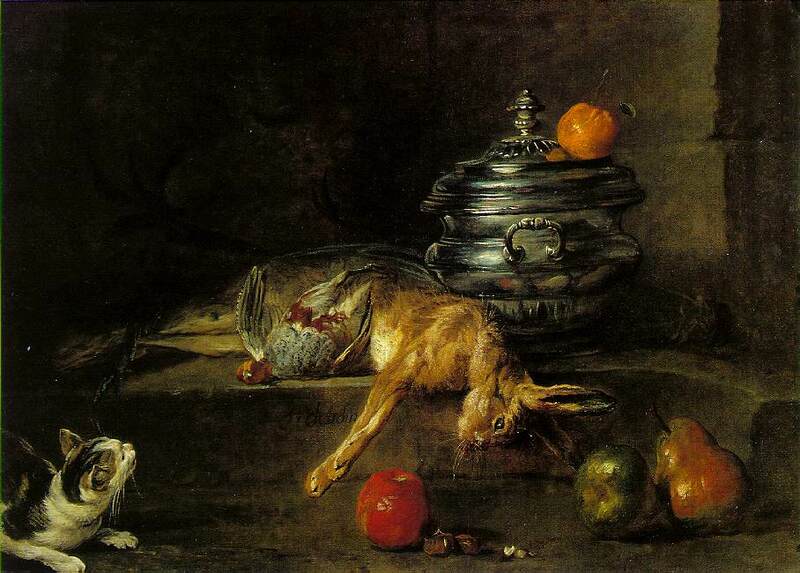 He favored simple still lifes and unsentimental domestic interiors. 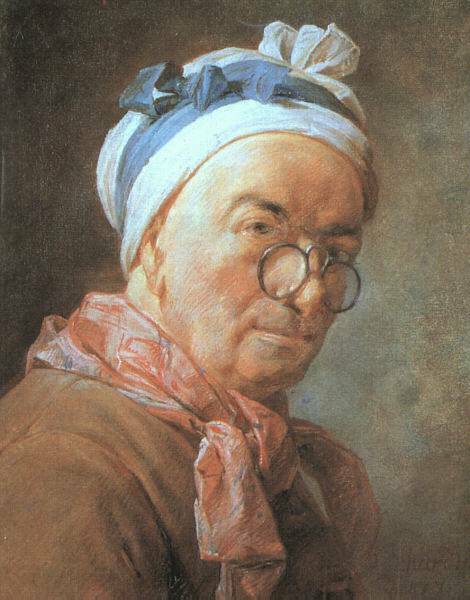 His muted tones and ability to evoke textures are seen in Benediction and Return from Market (Louvre) and Blowing Bubbles and Mme Chardin (Metropolitan Museum). His unusual abstract compositions had great influence. 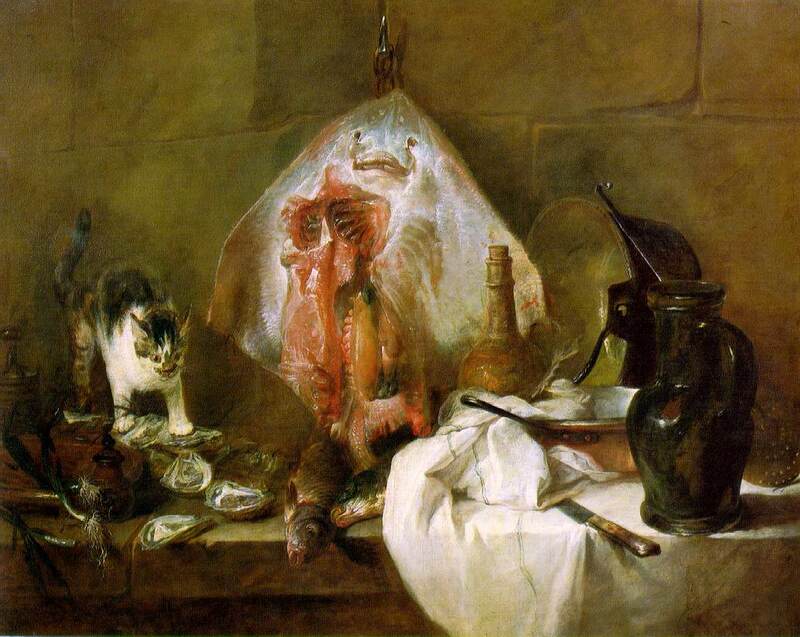 Chardin was admitted to the Royal Academy of Painting and Sculpture in 1728 on the basis of two early still lifes, The Skate and The Buffet (both 1728, Louvre, Paris). In the 1730s, he began to paint scenes of everyday life in bourgeois Paris, among them Lady Sealing a Letter (1733, former State Museums, Berlin), Scouring Maid (1738, Hunterian Museum, Glasgow, Scotland), and The Benediction (1740, Louvre). Characterized by subdued colors and mellow lighting, these works celebrate the beauty of their commonplace subjects and project an aura of humanity, intimacy, and honest domesticity. 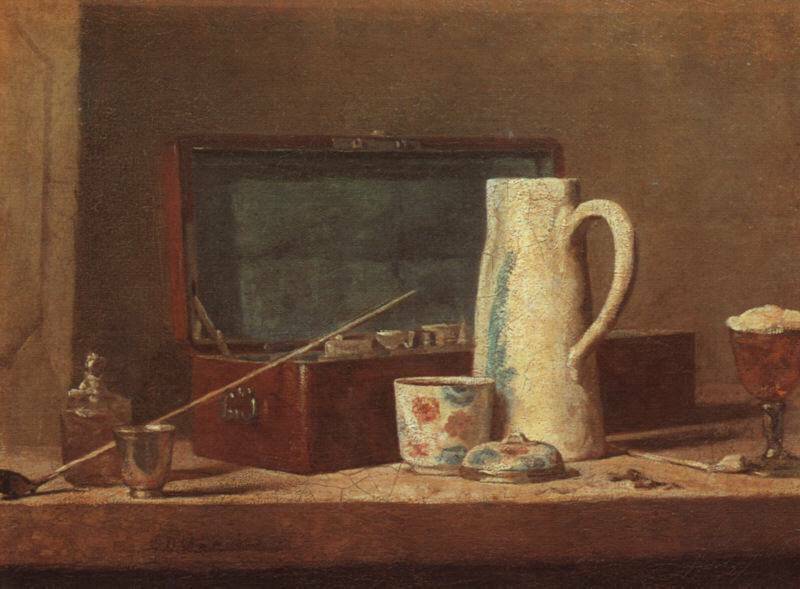 Chardin's technical skill gave his paintings an uncannily realistic texture. He rendered forms by means of light by using thick, layered brushstrokes and thin, luminous glazes. Called the grand magician by critics, he achieved a mastery in these areas unequaled by any other 18th-century painter. 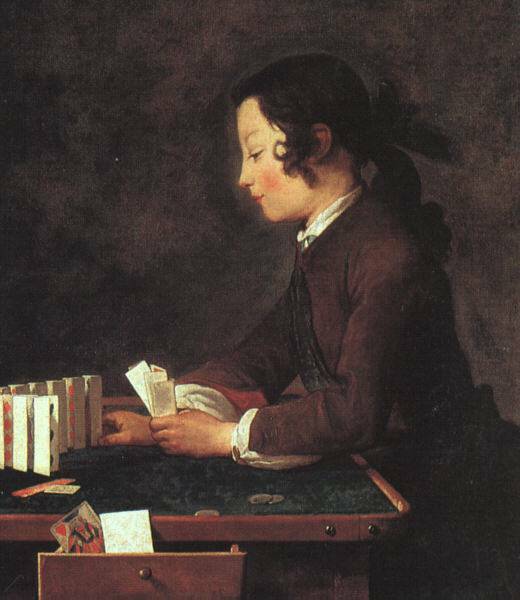 Chardin's early support came from aristocratic patrons, including King Louis XV. He later gained a wider popularity when engraved copies of his works were produced. He turned to pastels in later life when his eyesight began to fail. Unappreciated at the time, these pastels are now highly valued. 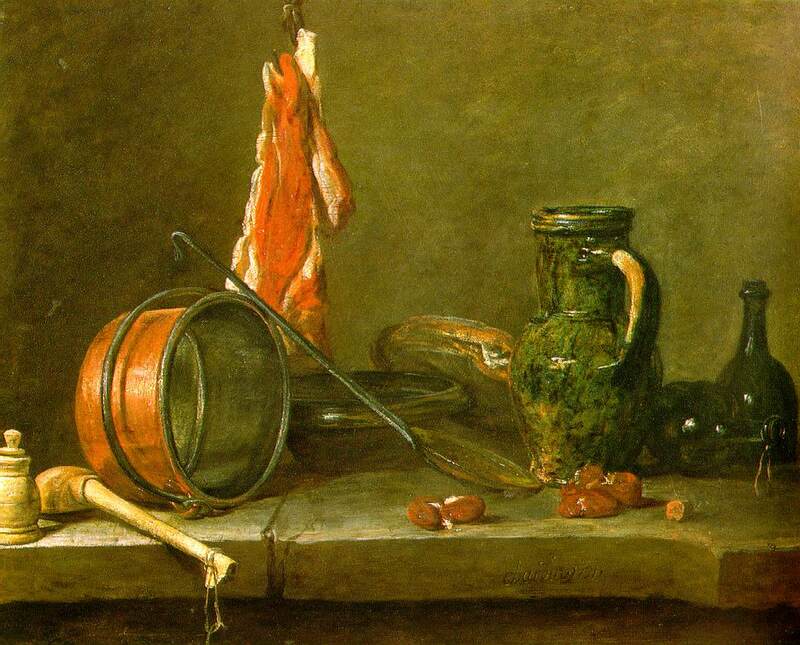 Chardin died in Paris, December 6, 1779.